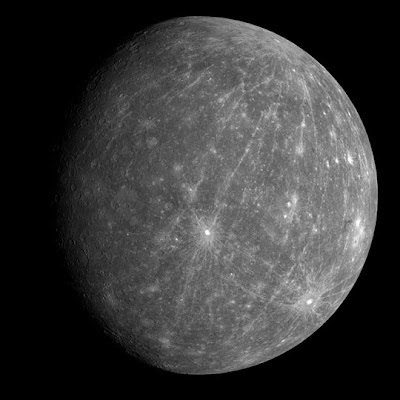 NASA's Messenger spacecraft made its second flyby of the planet Mercury October 6th, 2008 at approximately 4:40 AM ET. This image is among the first images to come back to Earth from Messenger. More images should be coming in throughout the next few days, so I'll have a few more to share! Image courtesy of: NASA/Johns Hopkins University Applied Physics Laboratory/Carnegie Institution of Washington.